As we had reported earlier on OVERDRIVE, the Q3 has just been updated. However, while the SUV was being developed at Ingolstadt, the chaps at Quattro were working on a special version. Audi's performance division normally doesn't soup up any of the vehicles from the Q range but an exception had to be made. The result? 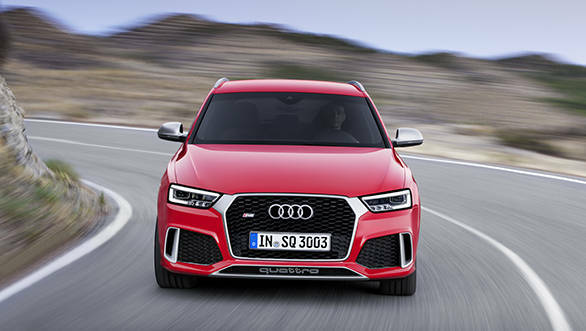 Meet Audi's first performance SUV, the RS Q3. What's the purpose of such a vehicle, you may ask. Well we took this little red monster for a spin on the German Autobahn to find the answer. 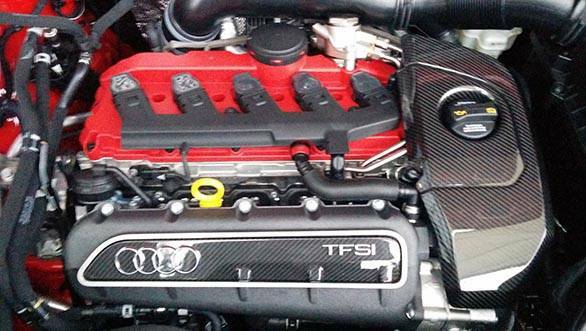 While most carmakers are downsizing by using smaller capacity engines, Audi has gone ahead and continued to offer their five-cylinder 2.5-litre TFSI motor. Not only has power gone up to a sportscar like 340PS, efficiency has improved too, competition from Stuttgart in the form of the GLA 45 AMG clearly being one of the reasons for improved performance. 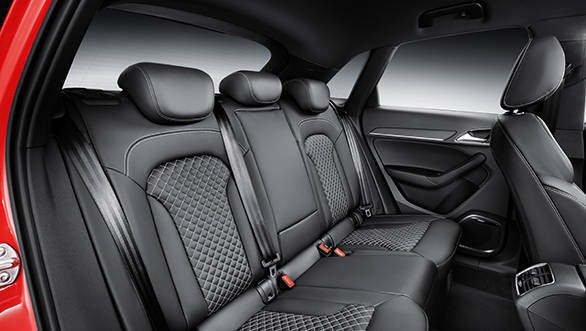 This motor transforms the Q3 from a happy family SUV into a proper four-seater sportscar. Push the ignition button and the mean engine and exhaust note bark away together reminding one that there is a lot of power waiting to be unleashed. Launch this Audi in Sport mode and 100kmph will come up in a claimed 4.8 seconds - that's as quick as most serious sportscars today. We couldn't confirm the figure but expect the SUV to hit the ton in under five seconds in real world conditions. Gear shifts are quick too, the standard S-tronic transmission and the five-cylinder motor make a perfect match. The steering mounted paddle shifters are placed perfectly and are a delight to use as well. Up shift at a higher engine speed or let the engine rev-match on its own while downshifting, and the exhaust will treat you. A special valve in the exhaust opens at certain engine speeds, enhancing the audio note further. The standard all-wheel drive Quattro system ensures all of the power is put to good use, perfect launches are ensured at most situations and there is hardly any torque steer. Even while driving at speeds over 230kmph on the Autobahn, the SUV stayed planted. We only wish the steering offered slightly more feedback and weighed more, especially at higher speeds. We couldn't drive on the racetrack or through the B roads in Germany but expect the RS Q3 to be as agile if not better than the regular Q3 Dynamic. 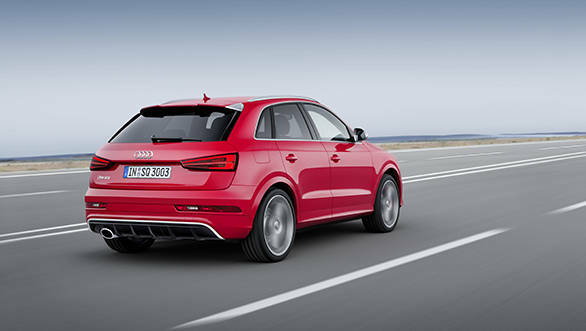 Just like the new Q3, the RS variant also gets the new face and redesigned tail lamps. However, like all Audi RS models, the front bumper features large air vents with a prominent vertical slat that looks mean. Huge 20-inch rims look like they belong to an R8, the wheels alone increase the sport quotient to another level. Other highlights are the body coloured wheel arch trims and contrasting silver mirror caps. Move to the rear and you will be surprised. At least we were. Unlike other RS models that feature twin or quad exhausts, this one uses just a single big pipe and still sounds great. If you're a Sleeper fan, this rear end will appeal to you. The RS Q3 is expected to roll out in India next year, more so because the GLA 45 AMG, its only rival, is already here. It is an SUV with the heart of a sportscar and designed for those who always wanted an Audi RS that is as practical as the Q3. This fast Audi did initiate the segment when it went on sale internationally a few years back, but there are only a few takers for such a vehicle despite the increased power and updated styling. Besides, it is priced quite exorbitantly when compared to the standard Q3 and when it gets here, expect the price gap to increase further.